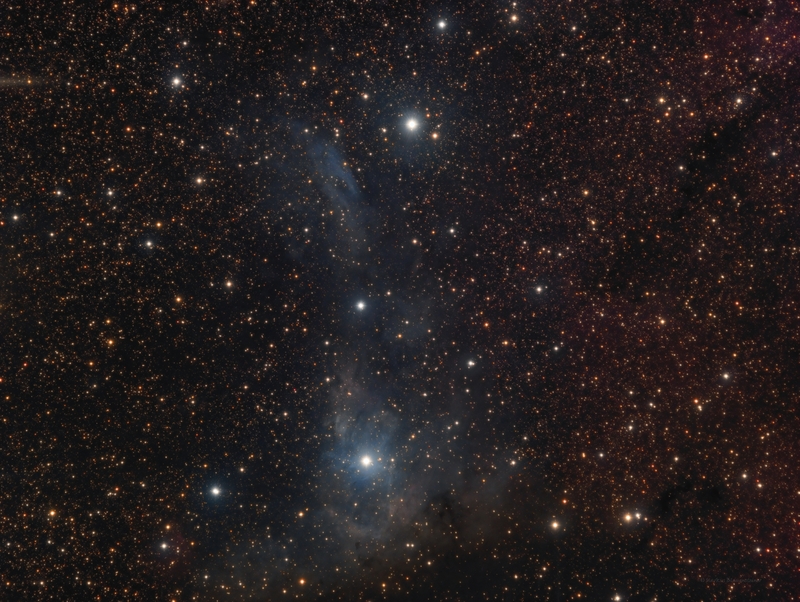 vdB 14 + 15 is a pair of reflection nebulae. They are illuminated by two different supergiant stars, HD 21291 (vdB 14) and HD 21389 (vdB 15). 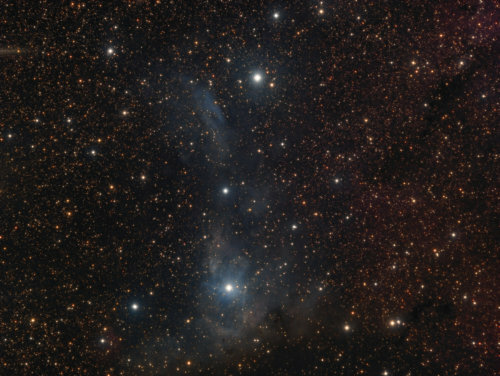 To the right, one can find the dark red nebulosity of Sh2-202.